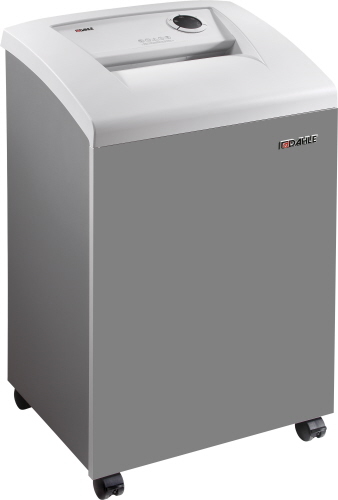 Dahle MHP (Matrix High Performance) Shredders are truly environmentally friendly with "Oil Free" operation. You no longer need to worry about messy fill-ups, maintenance fluid top-ups and can rest assured with securely shredding office documents in house! The clever engineering of the Dahle Oil-less MHP (Matrix High Performance) shredders allows for clean SmartPower Energy efficient shredding as well. These professional business office shredders meet small office to larger department commercial capacity standards, and out-perform off the shelf shredders for daily office use. 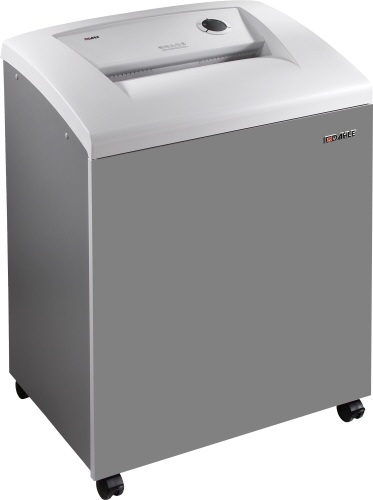 The Dahle 50214 is a Matrix High Performance (MHP) Series cross cut small office paper shredder. Designed for small offices or work groups where low volume document and sheet paper destruction is needed day to day. The Matrix High Performance (MHP) Series shredders are business commercial class office equipment models. 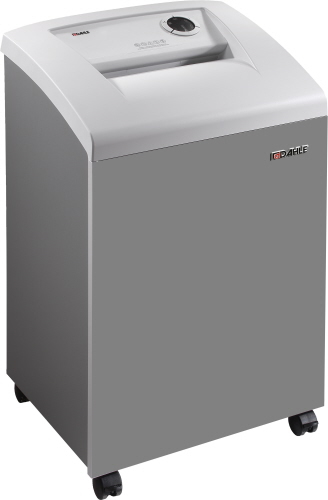 This Dahle Shredder features the Trident Grip design that maintains three continuous points of contact for a perfectly straight feed and the ultimate jam protection. 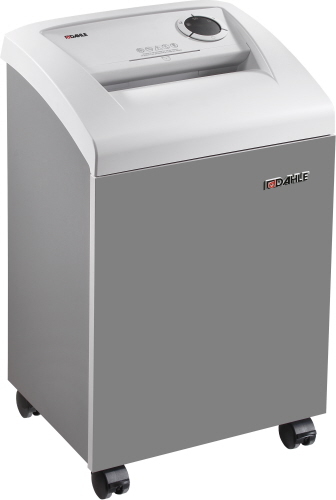 The Dahle 50314 is a Matrix High Performance (MHP) Series cross cut mid sized paper shredder. Designed for small to medium offices or work groups where low volume document and sheet paper destruction is needed day to day. The Dahle 50314 can easily shred both letter and legal size paper with ease. It offers automatic on/off, continuous run and numerous safety features for the ultimate in convenience and performance. The Dahle 50414 is a Matrix High Performance (MHP) Series has a larger page shredding duty cycle of 500-700 sheets per day for mid to large work groups and small departments. It is designed for commercial document destruction applications. Oil free shredding is made possible by the hybrid Matrix High Performance (MHP) cutting cylinders. Aggressive cutting edges are fused to a solid steel shaft, creating an incredibly strong bond and providing superior shredding capabilities. The Dahle 50646 is a department shredder with high capacity and a high duty cycle of 2,000 to 3,000 sheets per day. This model is meant for common areas and work group departments where high volume document destruction is required for secure information. This model is also a MultiMedia shredder. Through clever engineering, The Matrix High Performance (MHP) Series shredder machines maintain peak performance without the aid of oil, and reduce the chance of a paper jam. Dahle Oil-Free Shredders are not only convenient to use and economical to maintain, but also easier on the environment.